Parental pressure, peer pressure and most importantly exam pressure; Avinash has to face it all. Yeh Khula Aasmaan is a movie about how he finds himself and the secrets of a happy life with the help of his Dadu (grandfather) and the “Khula Aasmaan”. Read the review for me. Star cast: Raghubir Yadav, Yashpal Sharma, Manjusha Godse, Raj Tandon, Anya Anand, Kishor Nadalskar, Nitin Kerur, Aditya Sidhu and Gulshan Pandey. What’s Good: Raghubir Yadav’s acting; the music; showcasing the game of kite-flying instead of the typical cricket or football matches. What’s Bad: The preachy tone of the movie; a cocktail of messages and themes; dull kite-flying competition. Verdict: It is extremely disappointing, long and boring. Loo Break: Several times throughout the movie. Watch or Not? : If you don’t know how to fly a kite, this one is the guide to it but otherwise, you can give it a complete miss. IIT-JEE, HSC results, CET, etc with so many exams and so many results, students today are invariably pressurized directly and indirectly. Avinash (Raj Tandon) is one such student. Avinash who is a bright student, suddenly finds out that he has failed his IIT-JEE entrance exams. Disheartened, he calls his parents but with their busy schedule, they are unable to give him any support. Loneliness starts eating him up from within, and he decides to leave for his grandfather’s place. Dadu Gulab (Raghuveer Yadav) is elated on seeing his grandson after almost 10 years. Dadu and Avinash start bonding and after a long time, Avinash feels like he has somebody in this world who cares for him. Here, he also finds a best friend in Govinda (Nitin Kerur) and the love of his life in Muskaan (Anya Anand). Meanwhile, the pride and honour of Dadu, i.e., his 1959 Kite-Flying Championship record, is at stake when his opponent Mirza’s grandson threatens and challenges Avinash. The championship suddenly becomes a matter of family pride. Dadu, while making Avinash learn the importance of sportsmanship, also hopes that Avinash will regain his confidence through this competition. Will Dadu be successful? Will Avinash’s parents realize their son’s need for love and encouragement? Will Avinash give up or will he fulfill his Dadu’s dreams? All these questions are answered in the course of the rest of the movie. Gitanjali Sinha’s script deals with the pressures faced by today’s students but despite the seriousness of the topic, it hasn’t been given a proper treatment. The script also lacks any good dialogues. They are cheesy, silly and sound very archaic. The film has a very repetitive, clichéd feel to it. The screenplay is extremely slow and gets very predictable and gets boring. What’s more, there is nothing in it that will keep you glued to the screen. Raghuveer Yadav is the only person who has given an excellent performance. Raj Tandon and Anya Anand are quite natural and suit perfectly in their roles of teenagers. Aditya Sidhu as Salim shows real potential. Yashpal Sharma and Manjusha Godse act well, but their poor dialogue delivery takes away all the attention. Overall, none of the cast is extraordinary. Gitanjali Sinha’s direction fails to impress. The camera angles are weird, there are times when the scenes are over-exposed and the editing in some such parts is inconsistent. The narration also is haphazard and there is an acute lack of correlation between one scene and the next one. The long, boring songs, which are repeated throughout the movie, are even more jarring. Had the songs been smaller with not more than probably one or two stanzas, they would’ve still been okay. The final kite-flying competition is silly and ridiculously boring. The film makes the feud between the two families look funny over a silly kite-flying competition and the seriousness, or the importance the family holds for this competition is completely lost. Yeh Khula Aasmaan, which has been well-received at several film festivals, will make you wonder what made it go to all such festivals in the first place. It is an extremely poor attempt and is a complete disappointment. Yeh Khula Aasman releases on 25 May 2012. Aditya Sidhu and Gulshan Pandey. OK… I cant believe i literally watched this movie. I wonder how could people watch movie around 7-8 hours before of it’s release. Seriously? Execution of a movie is great but the idea and planning is equally bad. Raghuveer Yadav = Superb performance and other cast is also good. Movie simply can’t connect to audience and it becomes depressing at times. Worst thing is dialogues delivery is not poor but the dialogues are. Kite flying competition is irritating. We are here to watch movie and not to learn how to fly kites. 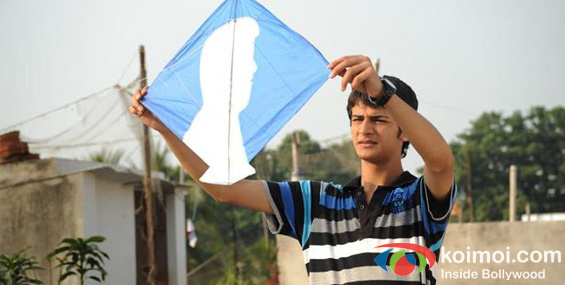 Is kite flying competition so important for anyone? Movies related to youths like Udaan have made their mark in an industry. YKA is undoubtedly good but failed attempt. Overemotional people might feel something (1% of their total emotions) towards the movie but others can term it as “consistently annoying”. Just read Ms.”Directors” comment about the movie reviewers and the way she reacted of official fb page. Chinchy marketing tactics to get revenues. Ms. Director should concentrate more in making watchable movies than misleading people. Never seen any director so unprofessional. YKA is just exploitation of people nothing else. Unfortunately they are thinking every publicity is a good publicity. Dear, all I can say is ATB for your future endeavors. Saw the movie..it was very boring..concept was different but it has failed completely…you can give it a miss. Every one should see this movie along with family.After this movie when i asked my six years old son what is your thought ? He replied “JO BHI KARO MAN LAGA KAR KARO”.